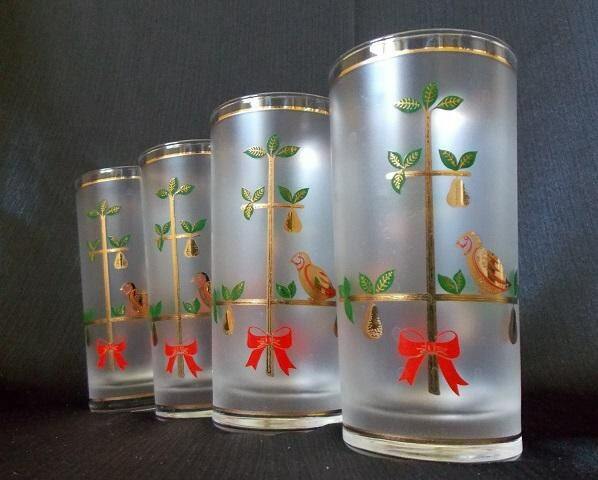 This set of four highball tumbler glasses are made by Culver in a Partridge in a Pear Tree Pattern. 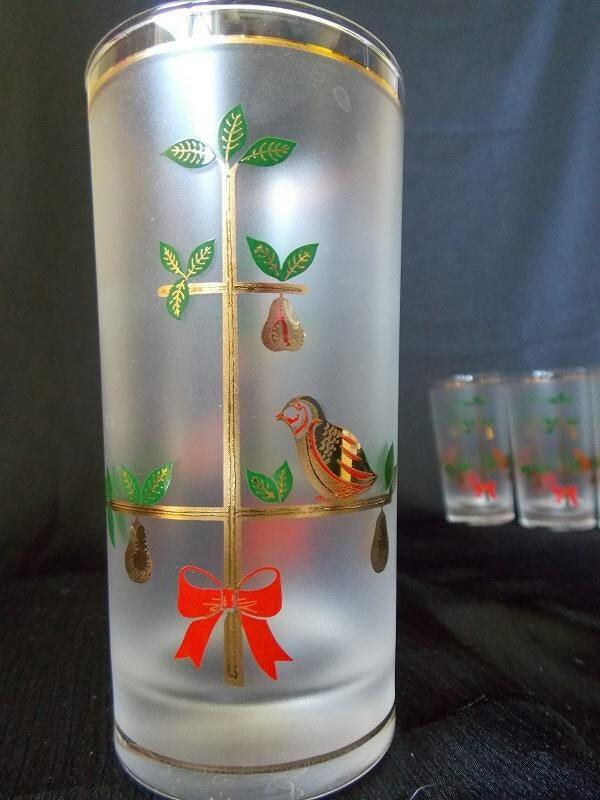 They feature a gold branched tree green leaves against a frosted glass. There is a golden partridge on one branch and 2 pears hanging from two different branches. 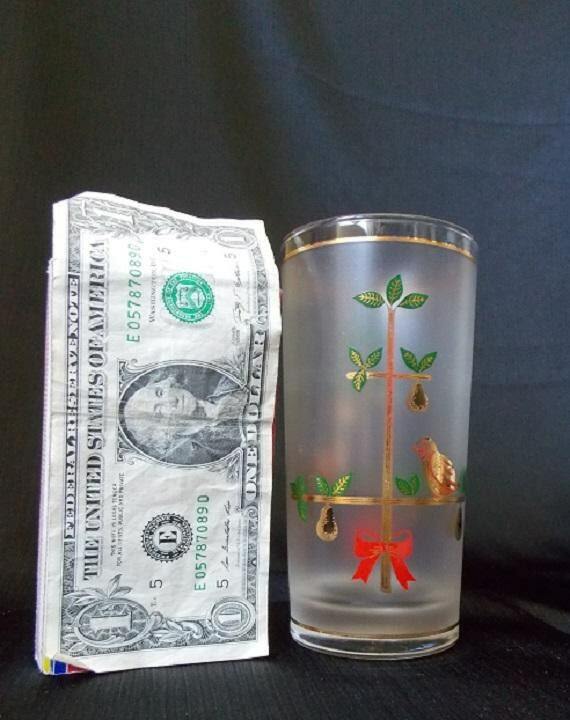 This design is hand silk screened on the front and back of the tumblers and is accented with 22k gold trim. Each glass clear base. 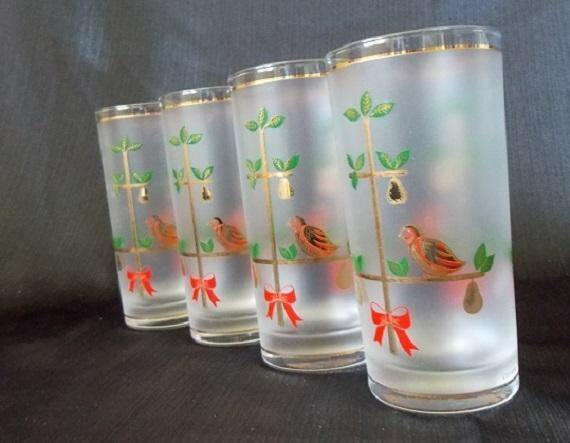 These glasses are marked "Culver" and come in the original box. 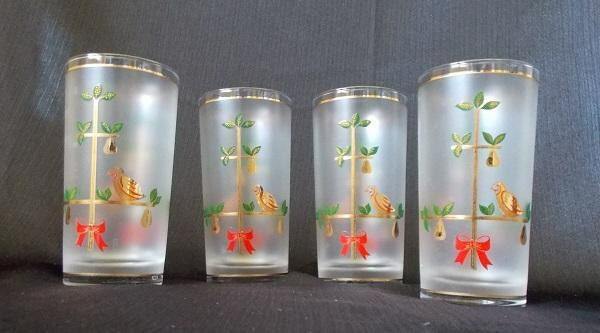 These set is in excellent condition with good color and no chips or cracks. The original box is in good condition.